i never liked figs. are figs even a fruit? apparently they are. my mom made me taste one years ago and i thought it was gross and mushy. 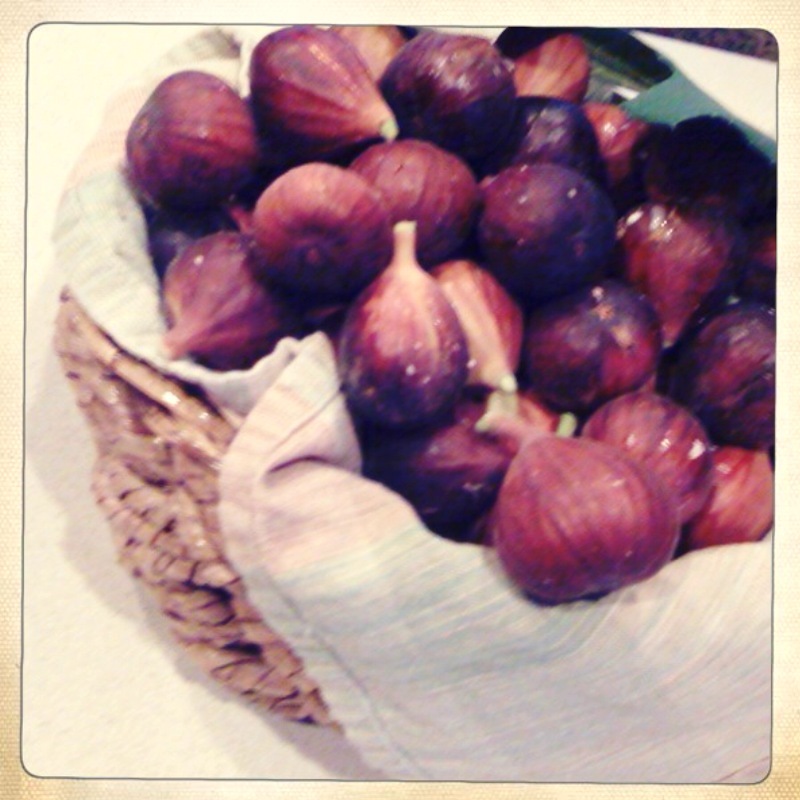 a fresh fig is one of the most odd textured foods, more so than a raw oyster (which i love). a few nights ago, i was eating a lot of them with a friend. maybe i am growing up or just have a different set of taste buds but i do like them now. my parents brought this little twig back from italy years ago. they planted it and gave it a lot of attention for 3-4 years before it every pushed out any figs. it now stands tall in the backyard at over 15 feet. we pick the figs we can reach. the birds peck at the figs at the top and the dogs eat the figs that fall to the ground. this week seems to be the peak. i’ve given out so many to friends and coworkers and taking them to the local farmers market for a trade. i love picking fresh fruit from trees. something about it is thoroughly enjoyable! This entry was posted in food!, texas. Bookmark the permalink.